Each donor plays an important role in achieving our goals. On its behalf and on behalf of those who gained from your heartfelt donations, Moisson Montréal would like to thank you. 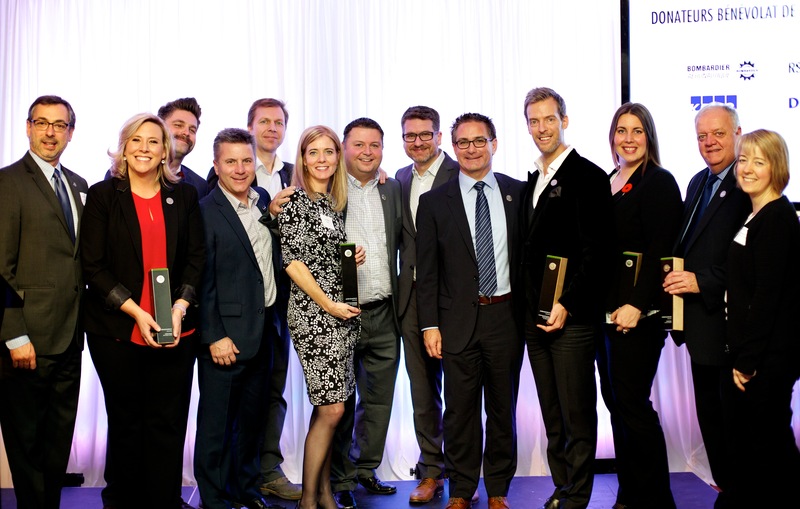 We would like to thank all our 2015 Ambassadors, including Mrs. Ève-Marie Lortie in the “Spokesperson” category, Mrs Jennifer Kirby from Telus in the “Champions in their Company- Volunteering” category, Mr. Pierre Gagnon in the “Administrator” category, Mr. Pierre Dandoy, Mr Glenn Acton and Mr. Charles Valois from Loblaws, Provigo and Maxi et Maxi&Cie in the “Honorary Presidents” category, Mr. Jules Hébert and Mr. Phill Liggett from La Ronde – Six Flags in the “Champions in their Company- Donated goods and services” category, Mr. Luc Briand from Loblaws, Provigo and Maxi et Maxi&Cie and Mrs. Lisa Lemay from Metro Inc in the “Champions in their Company- Donated foodstuffs” category, Mr. Claude Poisson of the Société des casinos du Québec in the category “Exceptional Ambassador”, and M. Dany Michaud who won a special trophy for his exceptional engagement towards Moisson Montréal as the Executive Director from 2011 to 2015.